Weird "WorldFest" Event Pushes Global Warming Apocalypse! The promo video for "WorldFest" will grab you. Both the tackiness and deception. The first two seconds tell the story: "U.N. has warned us on climate change" one second later: "2 Degrees Celcius Will Kill Us". (Yes, they actually misspelled the word Celsius) seconds later: "If we act today we see 2050". 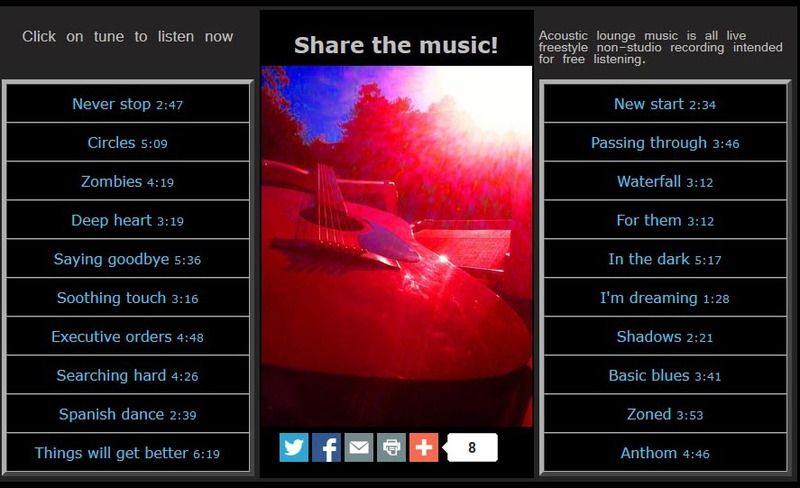 The rest of the fifty two second video shows bands playing and lots of people drinking alcohol. Yes alcohol. In a pathetic attempt to seem like fighting to prevent the end of the world can be done in a fun way, it is clear that the Intergovernmental Panel on Climate Change (IPCC) and the U.N. are desperate to raise money in any way they can by throwing these "save the world" events to attract brainless Americans simply looking to get out and drink beer for a day. The disingenuousness of the U.N. global government agenda has now reached new heights. A move by the globalist sparked last September (2013) when word got out that IPCC was looking for ways to translate the facts now known, that global temperatures have not gone up as the Al Gore religion had promised they would. The movement had once again received a death blow and now the Obama administration apparently was ordered to do something about it. It was shortly after this death blow in September that Show Time started airing 'Years of Living Dangerously', a new TV show about global warming. Also shortly after this revealed none-global-warming death blow, Obama signed an executive order taking control of all climate change legislation. How can anyone paying attention ever take this movement serious, given the new levels of propaganda we've seen in the last 9 months? This may explain the carelessness of this ridiculous event happening today in Los Angeles. Perhaps this is the signature proving that the U.N. knows they are catering to a specific audience of people who literally don't read the label, don't really pay attention and don't follow the real news. Sadly however, many of the people who show up this event will be well meaning people completely unaware that the U.N.'s Agenda 21 is in full effect and they care not about anyone at this event. 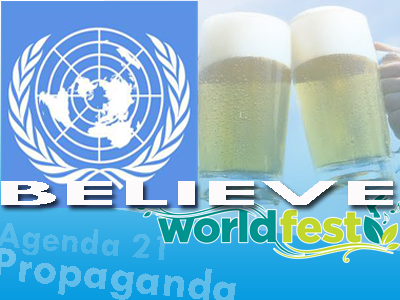 Sadly, many of the nice people at this event who just want to get out and drink a beer will never understand that they are the targets of the globalists depopulation plans being implemented by the U.N. and NGO's like the International Council for Local Environmental Initiatives (ICLEI). Is this event strictly a fundraiser for the U.N. agenda? Was money put up for this ridiculous event when the Obama team came into town last weekend? Or is this a response to last weekends successful Awake the Nation event where the 'New Media' was showcased with guess speakers like Ben Swann, Luke Rudkowski, Abby Martin, Gary Franchi, Foster Gamble, Richard Gage, Rosa Koire, Larry King, and bands like Immortal Technique? With the level of propaganda we are seeing, as the globalists desperately try to cling on to their new world order the answer may be all the above. One thing we can be sure is that this globalist event will say nothing about Agenda 21 land grabs, local government and personal sovereignty hijacking in the name of the environmental religion, or for that matter geoengineering, chemtrails or GMO poisoning of our food. Instead this event will be used as a tool to alarm attendees of catastrophic global warming. They will tell believers that we are "2 degrees" away from a catastrophic doomsday apocalypse that is unavoidable unless we all commit the U.N.'s Agenda 21 "sustainable" life style. That is how this works. Instill the religion then go after those that sin. So goes the global warming/climate change religion which has reached a point of embarrassment and desperation. A desperation which is now completely immune to all basic forms of knowledge understanding and facts about the amazing self preserving planet we live in.